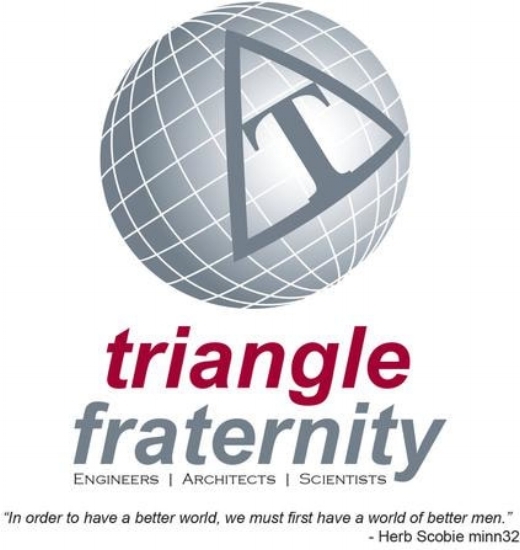 Triangle is a social fraternity of Engineers, Architects and Scientists. 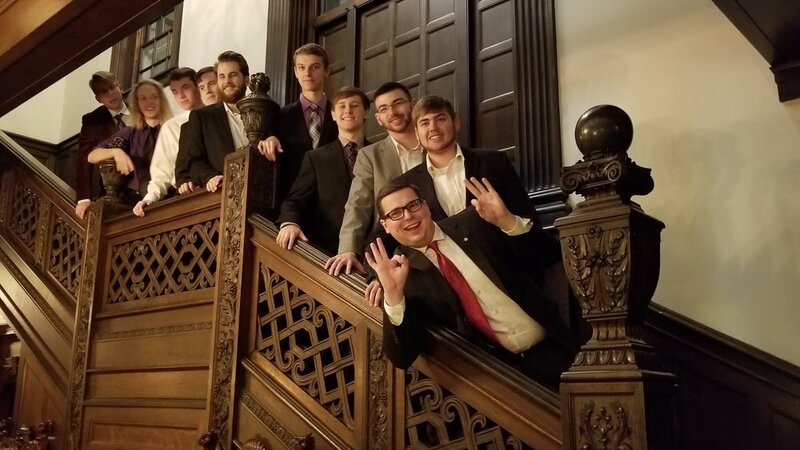 We are the only national social fraternity that requires specific fields of study and unlike most other social fraternities, Triangle does not have a Greek letter name. We are just called Triangle Fraternity. We've committed 3254 hours this year to community service in support various event. We have weekly sessions where we try to help brothers develop study skills and maintain a credible scholastic record. We currently have a 3.165 Cumulative GPA. The average GPA of our incoming new members for the past two years has been above 3.3 and highest among other fraternities. Triangle Fraternity is a home away from home. The word "fraternity" implies Brotherhood, a close group of friends sharing common interests that live together. Triangle provides an excellent place for students in technical fields to satisfy the many needs of college life. 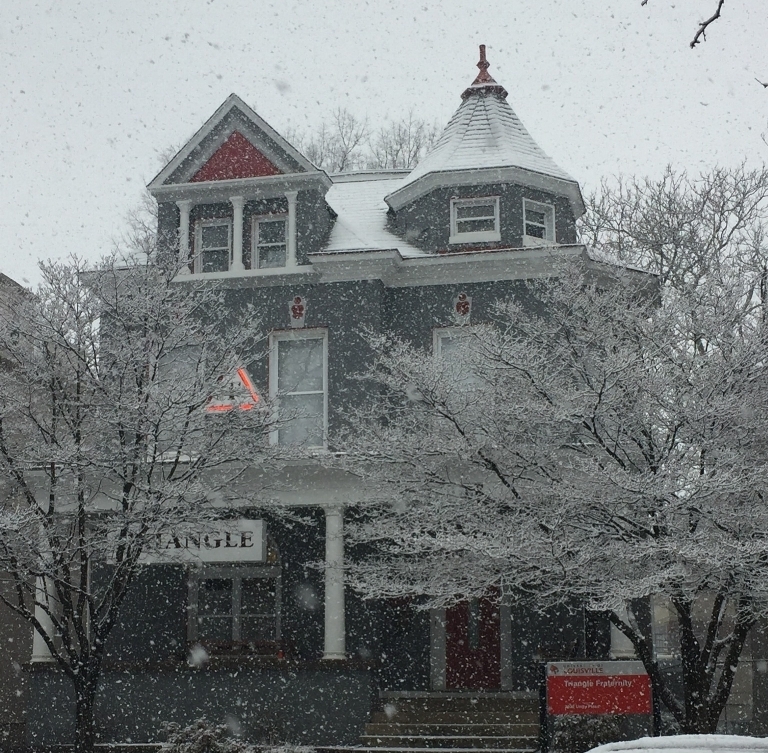 Triangle has had a house on campus since 1910 and we take pride in taking great care of the property and ensuring that its an inviting place for all. Come see it for yourself! We will gladly set up a tour for you. Triangle has much to offer academically and socially. We understands the balance between these areas and strives to attain a level of excellence in each area while maintaining a friendly and inviting home where lifelong friendships can be made. Triangle brothers strive to be leaders in the campus, local community, and their chosen fields of studies. Triangle offers a lot of opportunities to get involved and gain leadership experience and by joining Triangle, you are also gaining access to a whole network of over 22,000 members and alumni that will be there to help you out throughout your life's journey. We accept anyone majoring in Engineering, Architecture, and Chemistry, Physics, Mathematics, and more! Who can live in the house? Any of our active members or Alumni can live in house. Though it is not required, we encourage new members to live in the house with brothers. What does Triangle Housing Offer? The House is able to hold 9 members comfortably. There are 3 Doubles and 3 Single Rooms and all rooms are furnished with a desk, bed, mattress, closet, and chest of drawers.